Norway’s three largest offshore companies won contracts worth nearly NOK 12 billion from state oil company Statoil on Thursday that can create as many as 3,000 jobs over the next three years. The contracts are all tied to work on the next phase of development of Statoil’s huge Johan Sverdrup oil field in the North Sea. For one of the companies involved, Stavanger-based Aibel, it’s the oil- and gas-industry service company’s biggest contract ever, for nearly NOK 8 billion. “This is a great day for Aibel,” claimed its CEO Mads Andersen, adding that he sees it as a “vote of confidence” in earlier work Aibel has carried out for Statoil on the Johan Sverdrup project. Aibel will now work on the planning, purchasing and construction of the deck for Sverdrup’s process platform, while continuing to finish up work on Sverdrup’s drilling platform at its offshore yard in Haugesund. “We look forward to continue realization of the next phase of the Sverdrup field together with Statoil,” Andersen said. 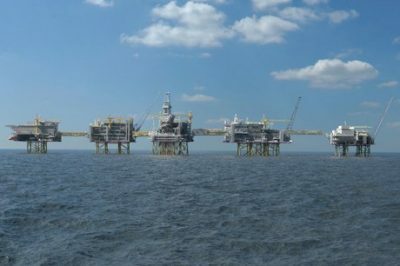 Norwegian firm Kværner has, in partnership with Aker Solutions, also won Statoil’s nod for NOK 3.4 billion worth of engineering, purchasing and construction of a module for another platform on the vast Sverdrup field. Statoil is the operator of the field in addition to having a major ownership stake, with the first production due to begin late next year. “We just ran around and congratulated each other,” Aibel employee Maria Jacobsen told Norwegian Broadcasting (NRK) Thursday morning. Not only has her job at Aibel’s Haugesund yard been secured, so have as many as 3,000 other jobs, and even more when activity reaches its peak both in Haugesund, at Aibel’s yard in Thailand and at offices in Stavanger and Oslo. Her company has been through tough times since oil prices collapsed in 2014, with lots of talk about the downturn and the ever-present fear of layoffs. Higher oil prices and lower costs have been turning things around: “This means that we can have more folks on the job and that we can continue to live in Haugesund,” Jacobsen said. Oil Minister Terje Søviknes also seized the opportunity to claim that the contracts tied to development of the Sverdrup field “are living proof of how many jobs, positive ripple effects and state revenues can be created through activity in the petroleum sector.” The oil industry continues to be controversial because of its emissions and threat to the climate and the environment. For now, though, the mood was celebratory. Statoil also doled out large drilling contracts this week to Odfjell Drilling, KCA Deutag and Archer that are expected to create around 2,000 jobs. Aibel employees were informed of their own huge contract at a large staff meeting Thursday morning. Cake was due to be served on Friday.